As B2B marketers, we’ve always been taught that a purchasing decision is based on logic and rational thinking. But what if this isn’t entirely true? To find out whether emotion should play a role in B2B marketing, we didn’t run to Google first. Instead, the Oktopost team turned to real B2B marketers who target prospects day in and day out. How did we do it? We used LinkedIn. About a week ago, we posted the question: “Should B2B marketing appeal more to our emotions?” in Marketing Communication, a LinkedIn Group geared towards marcom professionals, with over 250,000 members. The idea of increasing the emotional appeal of B2B marketing didn't receive a warm welcome from most commenters. Some even believe that an emotional factor may be viewed as “manipulative” by B2B prospects, since it diverts their attention from the facts. Yet, many admitted that emotions do play at least a minimal role, given that B2B relationships are built on trust and credibility. Let’s take a quick look at the main differences and factors that differentiate the B2B and B2C buying cycles from each other. If we take all of these differences into consideration, it’s not hard to understand what’s keeping B2B marketers from creating more emotional content. After all, they need to prove that their product or service delivers business value, is the right-long terms choice for the company, and is worth the high transaction cost. When there’s so much pressure to deliver the facts, it’s hard to find a place for emotion – but that’s not to say it doesn’t exist. It does, but as a different set up of emotions than the ones we attribute to the B2C realm, such as desire, happiness, sadness, nostalgia, excitement, and spontaneity. Many LinkedIn commenters strongly argued that emotional appeal does matter, but in the context of building a credible and trustworthy brand. In the comments, words such as trust, reliability, relationship, and stability were often mentioned. Which Emotions Are Most Related to B2B Marketing? 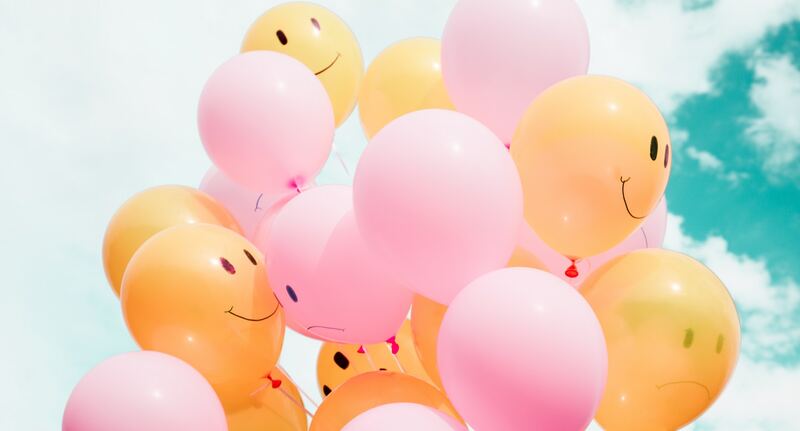 The purpose of emotion in B2B marketing is to communicate a company’s values, and how they can serve to foster strong personal connections and create trust. In fact, some commenters mentioned that use of emotion outside of this objective can actually cause damage the buying process. In this sense, B2B decision-makers don’t want to feel emotionally “manipulated” by marketers, and prefer to reach their decision based on logic, rational thinking, and business value – especially since it can impact the company at large. We read through nearly 50 comments, and selected the ones that offered the most insight into the role of emotions in B2B marketing. “B2B transactions involve numerous departments, influencers, authorizers and approvers, which makes it difficult to find an emotional appeal that would effectively hit all of the groups involved in a typical purchase path. An emotional appeal may be seen by some as trying to manipulate them, which could actually end up hurting you. In general, B2B buyers would rather you provide them with the facts and figures they need to make a comparison between competing vendors/products. “In the B2B world, the multi-level aspect, complex process, and lengthy cycle to conversion means that emotional triggers don’t necessarily reach the intended audience or decision maker…Trust, integrity, and reliability equate with a more lasting impression in a B2B set up. The long-standing approach of building actual relationships seems to be preferred by established companies. So, Should B2B Marketing Be More Emotional? It’s safe to say that no B2B purchasing decision is ever 100% based on logic and reason. However, without showing value for money, clear benefits, and proven results, no amount of emotion in the world can close that business deal. In any case, any emotional appeal in B2B marketing has to be tied to the personal benefits the company will gain from your product or service. To be successful, a B2B marketing campaign must fuse a solid business message, backed up by data, and a unique value proposition – with an emotional appeal that fosters trust. The prospect must “feel” that your products can help overcome pain points, provide business value for the long-term, and is the ideal partner. Given the massive potential impact that choosing a supplier can have on a company’s bottom line, B2B marketing must be geared towards building a relationship with prospects, earning their trust, and personalizing connections with multiple stakeholders. Regardless of your views on the subject, this TED Talk, “How Great Leaders Inspire Action”, from Simon Sinek will give you food for thought. 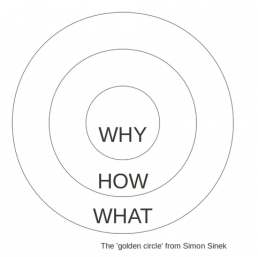 Sinek claims that all inspiring organizations, B2B and B2C, think, act, and communicate the exact same way. In fact, this way is actually the complete opposite of how the rest of the world’s businesses behave. To illustrate his point, he draws the “Golden Circle” on the board. 1. What: What a company does, and the products and services it offers. 2. How: What differentiates it from the competition and sets it apart. 3. Why: The purpose, cause, and belief behind it’s existence. According to Sinek, most marketing activities go from the outside (What) towards the inside (Why), when it fact it should be the opposite. Based on standard B2B strategy, marketers usually communicate the “what” and the “how” first – meaning the products, features, etc. He reasons that B2B marketers should emphasize the values, beliefs, and inspiration that their organization puts forward first, before ever reaching the actual fact about the products of services. What role do you think emotions play in B2B marketing?